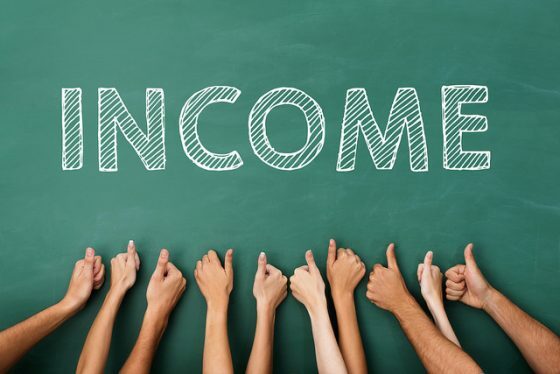 Universal basic income (UBI) or basic income is a periodic cash payment that each citizen of a country or region is provided irrespective of his income, resources or the employment status of the individual. It is a measure undertaken to elevate poverty and decrease the income disparity prevailing in a country. Every Universal Basic Plan varies due to its amount or design. This provides a safety net by supplementing the wages from work. It is the most ambitious social policy and has gained immense popularity in 2017. There a pool of ambiguity around this scheme. Some people consider it to be a substitute for welfare, while others consider it useful only when provided with the existing schemes or even regard it as high as an alternative to wages from work. After the fall of BJP in the assembly polls it is expected that the Modi Government might transfer certain amount in the bank accounts of the people who are unable to earn and introduce the concept of UBI in India. Another important question surrounding the issue is the scenario of upcoming artificial intelligence and robotics. It is being argued that this will pose a threat to the availability of jobs. Thus there is a lot of debate about the advantage of a fixed income which will promote everyone above the poverty line. A guaranteed income will help laborers to rise up the ladder or go back to school, colleges to gain knowledge and improve their skills. This will lead to reduction in the number of people who are stuck in jobs that are bad fit. This in turn will increase the labor market efficiency and improve job satisfaction. Currently many officials and bureaucrats obturate the benefits of existing welfare schemes. Thus the actual beneficiaries are unable to get the required aids. But with a single fixed amount, the complexity of the procedures will reduce and the entire benefits will be directly transferred to the individual. There are various things which are essential for the working of the economy, but are not recognized as economic activities. For e.g. the work done by parents which goes unrecognized in a monetary way. Thus a basic income will ensure recognition to these activities. The extra income will provide a safety net in case a new business falls down. Thus this will promote new businesses to grow and also help in selling the products as now buyers will have more disposable income in hand. A guaranteed income helps in improving the mental health of people by eradication stress caused on account of financial insecurity, poverty and scarcity. Women that are below the poverty line suffer more than men. Thus a guaranteed amount in their account will help them make their own standing and develop their say in the family matters. The cost of providing a basic income will be much more than the amount itself. Thus deciding an optimum level of UBI will pose a challenge. According to IMF estimates, India can provide a basic income of Rs.2600 annually to each person. Even such a meager amount will affect the fiscal costs heavily. There is a possibility of increase in consumption of alcohol and cigarettes as people will regard this income as extra and will not use it optimally. In a country like India, a free income will reduce the voluntary labor availability drastically. This will increase the labor costs and hinder the advantage of India being a cheap labor country. The UBI might deprive people of the motivation to work, this would generate lesser taxable income and hence reduction of the government revenue. Between 2011-2013, a UNICEF study lead by sociologist Sarath Davala and Guy Standing, provided an equivalent of $1 million to a pilot of 6000 people in the villages of Madhya Pradesh. It was observed that this money was utilized carefully by the people. This money was spent on child education or creating greater income opportunities through livestock. In June 2017 Hawaii passed a bill that gives every citizen of Hawaii a right to receive a basic income. Such a measure was taken up due the fear of labor loss arising from automation. In 2010, the government of Iran successfully implemented the UBI trial by transferring 29% of median household income. The results did not provide any evidence of poor forging their jobs, instead people invested in business. Even though Universal Basic Income is expected to take off the load from healthcare services and social institutions the cost of providing it is too high. Thus it can be concluded that Universal Basic Income is surely beneficial but there is a threat to its purposefulness on account of increase in costs.